HostKnox Review 2019: Is HostKnox a Good Hosting? HostKnox’s single hosting plan is meant to be a one-shoe-fits-all solution to give their customers the most streamlined and convenient hosting service possible. They provide free installations for almost all major CMSs, and a custom, in-house control panel. 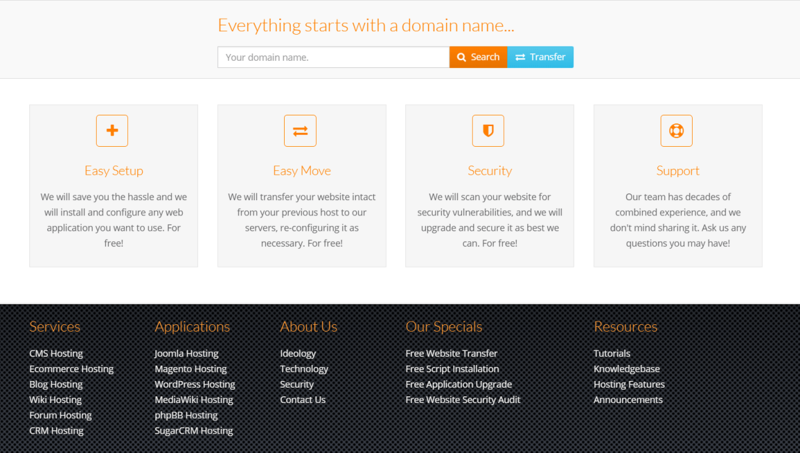 HostKnox is a shared web hosting company based out of Florida, U.S and was established in 2011. They are unique in that they offer a single web hosting plan which customers can request to have set up with their desired software installed, or do it themselves with HostKnox’s custom management panel. Their website, and services, are provided in English. The HostKnox hosting plan comes with 20 GB of storage, unlimited bandwidth as well as unlimited FTP accounts, mailboxes, databases, etc. This allows you to scale your website worry-free in most ways as even 20 GB can support quite a large business website. Their servers are always kept on the latest stable branch of 64-bit Debian GNU/Linux. For increased security and stability, they also isolate each customers hosting solution to stop the spread of any security breaches and to guarantee stable resource access. One great service offered by HostKnox is that they’ll install almost any CMS of your choice when you requisition your hosting solution. These include, but aren’t limited to, WordPress, Joomla, Drupal, Magento, etc. They’ll make sure it’s installed, correctly set up, and ready to go. HostKnox has also created their own control panel with an easy to use interface and enough control to make use of SSH access, manage DNS records, run Cron jobs, etc. HostKnox actually only has a single plan, what they call the HostKnox Hosting Plan. This can be confusing to figure out, but any type of hosting or plan you select will add the same plan to your cart. The pricing is pretty standard considering the storage and unlimited bandwidth and other features you get. All plans also include a free SSL certificate. You can choose between monthly, quarterly, semi-annual, annual, biennial, and triennial billing. However, all plans shorter than a year comes with a setup fee which isn’t too expensive but pricey enough to sting. Also, only yearly or longer plans come with a free domain. Quarterly or semi-annual plans aren’t discounted, but annual and longer plans are. You might be better off getting your own SSL certificate anyway as HostKnox’s certificates are quite pricey and only cover a single domain. Their dedicated IPs are also way more expensive than most other hosts. The good news is that HostKnox offers a very admirable 50-day money back guarantee on their hosting fees. In terms of support, your options are a bit limited. HostKnox only provides a contact form pre-sales and ticket support afterward. However, they do provide a very comprehensive knowledge base with a lot of step-by-step guides, especially on how to install and manage popular CMS’s and other scripts. They claim to provide “round the clock” support with 24/7 availability. Although the HostKnox hosting plan is straight forward, transparent, and relatively affordable, it’s not for everyone, especially those who require scalable storage. However, most users should have their requirements satisfied. Wondering how HostKnox stacks up against other Web Hosting companies? Enter any other Web Hosting company and we will give you a side-by-side comparison.